It all started with an errand from my boss. Unable to come into office one morning due to an unfortunate misadventure which left him with a badly sprained ankle, he declared that while physically not present that day, he will still be doing his boss-ly duties from home. The only problem – his Macbook charger and notebook were in the office. Agreeing to the slightly unconventional, but admittedly efficient means of transporting an item, I soon met with the UberX driver, who arrived promptly at our pickup point. Expecting it to be a normal passenger pickup, his warm, smiling face quickly turned into one of confusion as I explained that the ride was not for a human being, but a bag of items. Shrugging the rather peculiar situation off with a hearty laugh, he took the bag from me and soon enough, I received a message from my boss, indicating that he got the items from the driver. Which got me thinking – I’m pretty sure he wasn’t the only one using these ‘unconventional’ delivery services to transport small quantities of items from one place to another. Given that putting in a request with a courier service is way too extreme for a small delivery like this (and not to mention, the method will also incur a much larger bill), using a private-hire service instead is definitely a logical option for time and money-savers among us. But then comes another question – is this a ‘legitimate’ use of Uber/Grab services? Thus, I set forth to find out more. I turned to online forum UberPeople.net, whose members consist of international Uber drivers and passengers, many of whom are active participants in topics ranging from their vehicles, pay, insurance and even interesting personal experiences. Creating a new thread, I asked if any Singapore drivers have encountered pickups which simply involved picking up an item for delivery to another place or person. And from the answers I got, it seems like a pretty common occurrence*. 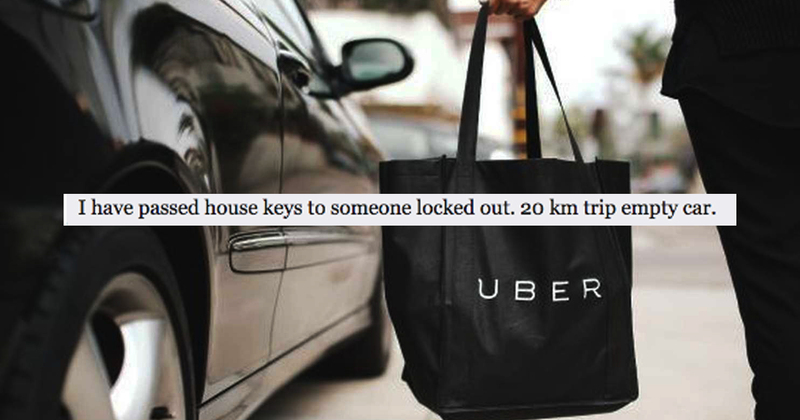 From dropping off house keys, to delivering food, to even passing flowers to someone in a hospital’s private room, one unveiled that it is also a common request to Grab drivers. Which then brings in the most important question we need to ask when shedding light on these alternative uses of Uber and private-hires – are these even ‘allowed’? A check on their Terms page reveals that the services “are made available solely for [the rider’s] personal, noncommercial use”. Which means that you could use their service to transport that bouquet of flowers to your girlfriend, but you probably can’t use it if you’re a business owner transporting an item to a paying customer. For that, Uber has its UberRUSH service – which unfortunately isn’t available in Singapore at the moment. 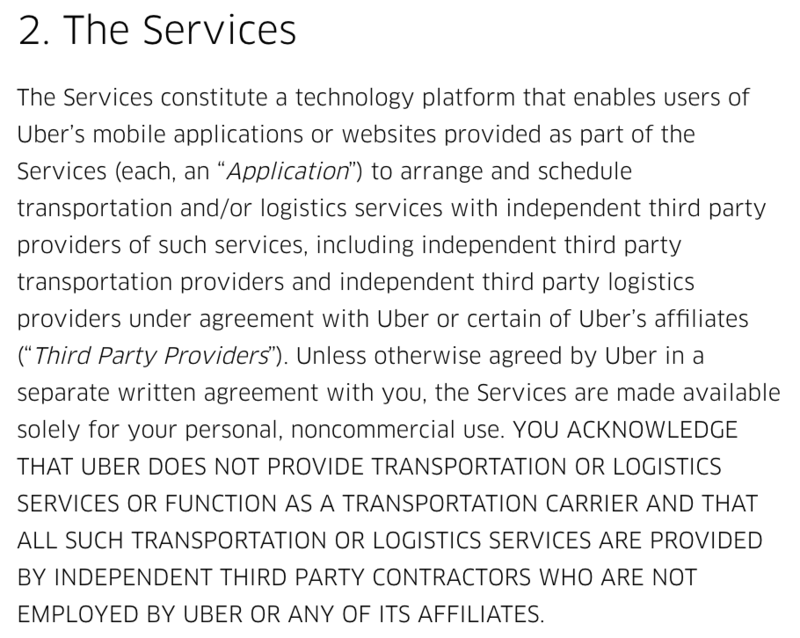 The lengthy page also states that Uber does not associate with being a transportation carrier or one that provides logistics services, and that its drivers are “third party contractors who are not employed by Uber or any of its affiliates”. Given that with Uber, the contact signed between driver and company is not employer-employee but employer-contractor, the drivers are considered to be self-employed, and thus ‘third party contractors’. Further down the page, Uber clearly states that its services “may be used by [the rider] to request and schedule transportation, goods or logistics services with third party providers”, but it also “shall not be liable for […] damages, including […] property damage related to, in connection with, or otherwise resulting from any use of the services”. Uber also warns that riders who use the service to break local laws can lose access to their account if found guilty. For now, it does seem like it’s still a grey area. Is Using Uber/Grab As An Ad-Hoc Courier Service Viable? From what we can tell, there are quite a number of Singaporeans who are taking the courier route less driven, and saving money along the way. The long term implications are still unknown, but for now, it looks like private-hire drivers have a new source of income.